Founded in 2006, VIA Books is a serial publication that began its run in 2008. Each volume introduces a thematic, polemical topic allowing the expression, engagement, and confrontation of critical issues within facets of design. VIA recalls the work and success of its precursor, VIA Journal (1968–90), yet extends beyond the field of architectural theory to employ the interdisciplinary concurrence that is unique to the school. The book series is interdisciplinary and collaborative, representing the full array of design fields—architecture, art history, city and regional planning, digital fabrication, fine arts, industrial and product design, landscape architecture, media and digital technologies, preservation, urban research and urban design. VIA will promote connections both within the interdisciplinary student body and the design community-at-large while using design itself as a medium for exploration and connection. Helene Furján is assistant professor in the Department of Architecture at PennDesign, University of Pennsylvania. She has had essays and reviews published in journals including Gray Room, AAFiles, Assemblage, Casabella, Journal of Architecture, JAE, and Interstices. She has recently published Crib Sheets: Notes on the Contemporary Architectural Conversation, coedited with Sylvia Lavin (Monacelli, 2005); has chapters in Intimate Metropolis (Routledge, 2008), VIA: Occupations (PenDesign, 2008), 306090: Models (PAP, 2008), Softspace (Routledge, 2006), Gen(H)ome (MAK Center, 2006); and has published an essay in the catalogue for the 2008 exhibition Performalism: Form and Function in Digital Architecture at the Tel Aviv Museum of Art. She is series editor and faculty advisor for the PennDesign book series VIA (Volume 1, Occupations, 2008; Volume 2, Dirt, 2009; Volume 3, Camouflage, 2010). She is completing a book on Sir John Soane's house-museum, Soane's Spectacular Theater. Leslie Billhymer is coeditor (with Nicolas Koff) of VIA's third volume, Camouflage. She is a master's in architecture candidate at the University of Pennsylvania, and holds a BA in American history and economics from Northwestern University. Prior to coming to Penn, Billhymer worked for four years in grassroots organizing and policy development for several political organizations including MoveOn Political Action Committee and the San Francisco Green Party. At Penn, she has been involved with VIA as a contributor, as a research director for VIA: Dirt, and finally, as coeditor-in-chief for VIA: Camouflage. Her work has been published in VIA: Occupation, and chosen for WORK 07/08. Most recently, she has worked for Winka Dubbeldam's firm Archi-tectonics in New York. Megan Born is the coeditor of VIA: Dirt alongside Lily Jencks. She is currently a landscape and architectural designer at Field Operations as well as a lecturer in the Department of Architecture at University of Pennsylvania. She holds a BA in dance and political science from Fordham University and dual master's degrees in architecture and landscape architecture from the University of Pennsylvania. While studying at Penn, she was awarded the Ian McHarg Prize, the ALSA Honor award, and the Kohn Pederson Fox and Dales Traveling Fellowships. She was also the recipient of the Fischer, Romanach, Schneideman, and Kohn fellowships. Her work has been exhibited in Philadelphia; at the AIA Center for Architecture in New York; and published in Penn's WORK (05/06, 06/07, 07/08) and Process (06/07, 07/08). She has also worked in the offices of Weiss/Manfredi Architecture and Ruy/Klein Architecture. 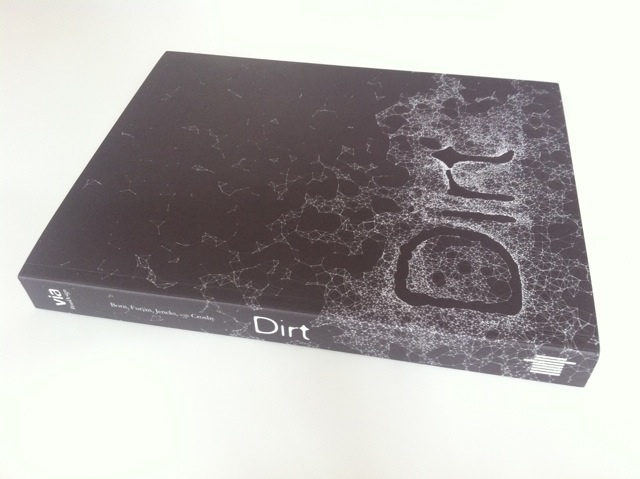 Lily Jencks is coeditor of VIA: Dirt with Megan Born and one of the founding editors of the VIA series. She is a candidate for dual master's degrees in architecture and landscape architecture at the University of Pennsylvania, and has been awarded ASLA Honor and Faculty Award in Landscape Architecture, the Arthur Spayd Brooke Memorial Prize (Silver Medal), the Mehlhorn Scholarship, the Frank Miles Day Memorial Prize, and the Gutman Scholarship. Her work has been published in the WORK 07/08 and selected for inclusion in Process 08/09, as well as VIA: Occupation. Lily has worked at the offices of OMA and Gehry Partners LLP. Nicolas Koff is currently a candidate for dual master's degrees in architecture and landscape architecture at the University of Pennsylvania. He received a BA with honors from the University of Toronto in 2006, majoring in architectural studies and East Asian studies. While at the University of Toronto, Nicolas was awarded the William Taylor award from Victoria College, the Dr. Roseann Runte Award, and the Faculty of Arts and Science Student Award. While at Penn, Nicolas was awarded the Mario J. Romanach Memorial Fellowship, the E. Lewis Dales Memorial Fellowship, the Will Morris Mehlhorn Fellowship in theory and writing, and the Wallace Roberts and Todd Award in landscape architecture. Prior to joining the VIA team, Nicolas traveled extensively, studying in Hong Kong and working in Tokyo, Singapore, Beijing, Toronto, Philadelphia, and most recently, in Paris for Jean Nouvel. His work was recently published in Roundabout Journal in Tokyo; WORK 06/07; and Process 07/08, at the University of Pennsylvania. Karen M'Closkey has recently joined the VIA team as faculty advisor (2008). Prior to her appointment at Penn, she was an assistant professor of architecture and Sanders Fellow at the University of Michigan's Taubman College of Architecture + Urban Planning. In 2003, she cofounded PEG office of landscape + architecture, now based in Philadelphia. The firm has been published internationally and won numerous design awards, including an honorable mention for their entry into the Buzzard's Bay Bridge Park international design competition; three AIA awards; and an ID Magazine Award. M'Closkey, a registered landscape architect, is the author of a forthcoming book on the landscapes of Hargreaves Associates, for which she received a Graham Foundation Grant for research. In fall 2003, the historic Graduate School of Fine Arts became the University of Pennsylvania School of Design. Our new name—PennDesign—describes what we are now: a single school, within a great university, dedicated to promoting excellence in design across a rich diversity of fields—architecture, city planning, landscape architecture, fine arts, historic preservation, digital media design, and visual studies. The change in our name underscores our belief in the centrality of design to all aspects of creativity. A dual challenge is offered to our students: explore a broad range of possibilities through both practice and theory. Students at PennDesign seek the critical balance between art and practicality, the why and the how, the left brain and the right. As our students and their work impact our global environment through the making of thoughtful places and objects, our new name celebrates the future of PennDesign as a leading center for design education and practice in the twenty-first century and beyond.